ISLAMABAD/LONDON – After Cambridge Analytica was brought into the news by a whistlebrower who claimed that the political consulting firm had illegally acquired Facebook data, which reportedly impacted the 2016 US elections, Pakistan Tehrik-e-Insaf (PTI) has approached the company, The Dependent has learnt. Sources within the party have revealed that the PTI has approached the firm for data mining, data brokerage and analysis with regards to the party’s followers on Facebook that are actual human beings. “We want to know the exact percentage, if not the number, of our Facebook and Twitter profiles that are actual human beings and not fake accounts of bots that are created to self-replicate the same tweets and Facebook posts,” a senior PTI leader confirmed. 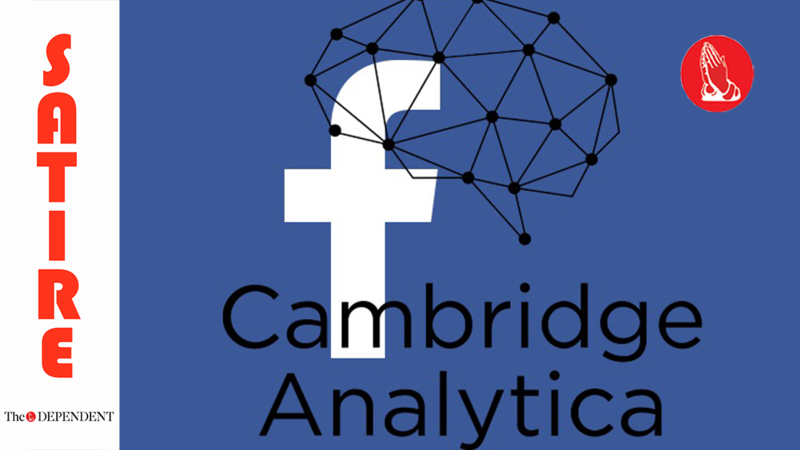 According to reports, Cambridge Analytica will analyse the data of actual human beings that have liked PTI’s Facebook page and followed the Twitter profile, per constituency. Sources also suggest that similar data is being purchased by the Inter Services Public Relations, to figure out the actual number of its Twitter handlers amidst the unaccounted proliferation of bots. “This is also because actual human beings, especially media personnel, have been acting like our bots as well,” an ISPR source told The Dependent. LOL. THESE LIBERALS ARE GOING NO WHERE!